The mission of the Valentine Richmond History Center is to collect, preserve and interpret Richmond's unique history through exhibitions, guided city tours, events and stewardship of the Wickham House. The History Center is located in a 19th century Federal architecture house, which is listed as a National Historic Landmark. 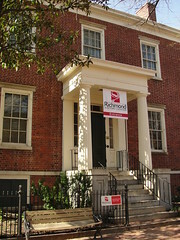 Historic Richmond Tours, a service of the Valentine Richmond History Center, offers a wide variety of guided tours that explore the rich and diverse history of the city.